Tausonite: Mineral information, data and localities. Named after Lev Vladimirovich Tauson (Oct 27, 1917, in Kamyshlov, Sverdlovsk Oblast - 1989), Geochemist and petrologist. Director, Geochemical Institute, Irkutsk (Russia). 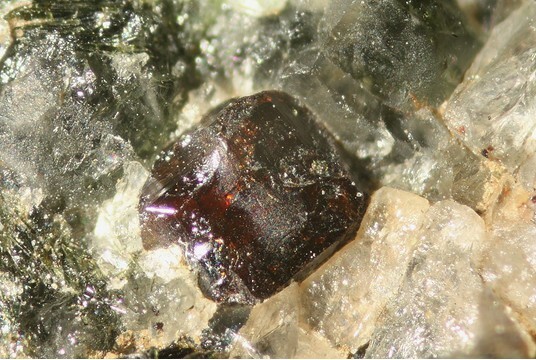 Aegirine 1 photo of Tausonite associated with Aegirine on mindat.org. Vorob’ev, E.I., A.A. Konev, Y.V. Malyshonok, G.F. Afonina, and A.N. 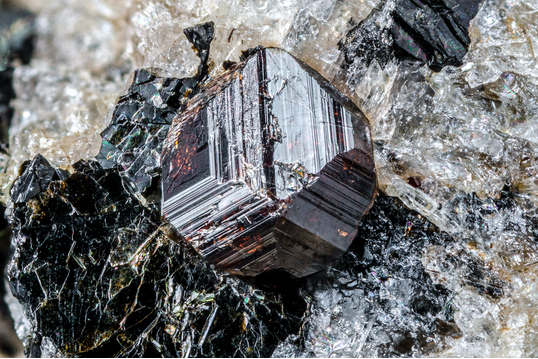 Sapozhnikov (1984) Tausonite, SrTiO3, a new mineral of the perovskite group. 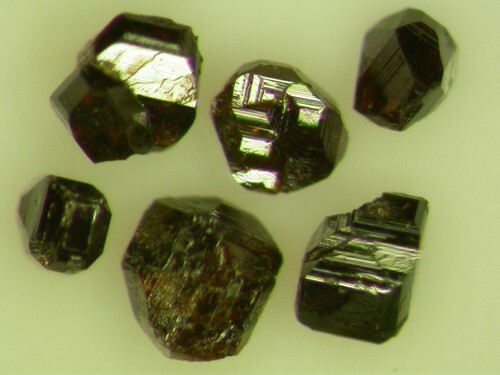 Zapiski Vserossiyskogo Mineralogicheskogo Obshchestva (1984): 113: 86-89. American Mineralogist (1985): 70: 218.
International Geology Review: 26: 462-465. European Journal of Mineralogy (2002):1119-1128. Konev, A.A., Vorobyev, E.I., and Lazebnik, K.A. (1996) The Mineralogy of the Murun Massif. Russian Academy of Science Press, Siberian Branch, Novosbirsk, Russia (in Russian). ; Pekov, I. (1998) Minerals First discovered on the territory of the former Soviet Union 369p. Ocean Pictures, Moscow; Vorob'yev, Y. I., Konev, A. A., Malyshonok, Y. V., Afonina, G. F., & Sapozhnikov, A. N. (1984). Tausonite, SrTiO3, a new mineral of the perovskite group. International Geology Review, 26(4), 462-465.